Part 1: Click on the Codecademy link to access the Codecademy programming lessons. Then complete each of the HTML & CSS lessons in the unit. Part 3: The final lesson is a resume you must complete. I will need to check each of these before having you move on to the next unit . 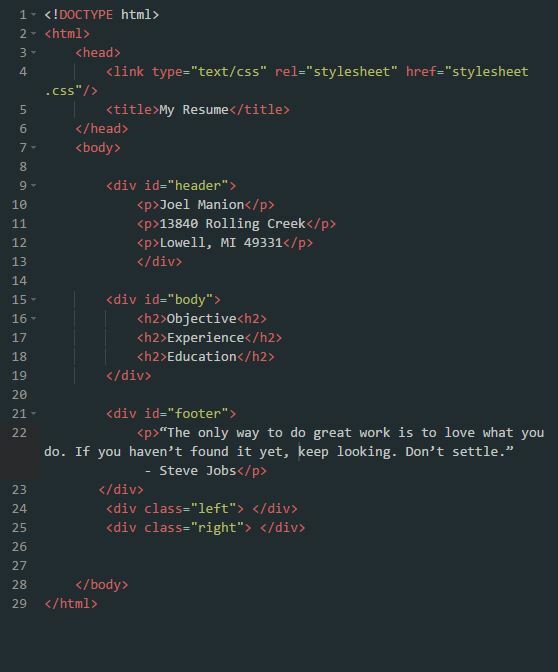 Below are examples of both the HTML code and the CSS code that I used to build a resume page. You can use these as an example of how to lay out your page.